3rd Coast Imaging is proud to employ the most creative production staff. From design to implementation, creativity drives our complete print process. Our staff works tirelessly to take the confusion out of printing. We work hard to meet the strictest deadlines and fulfill all customers’ needs. 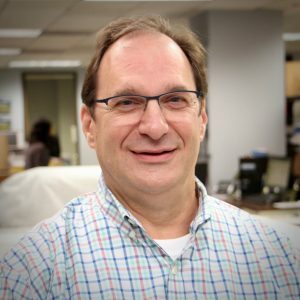 George Chrisopulos brings 20 years’ experience in printing services to his role at 3rd Coast Imaging. His career has focused on sales and business development, working with professionals across numerous industries including architecture, advertising, legal, and hospitality. George was born and raised in Oak Park and has deep ties to the Chicago community. He is a United States Marine Corps Veteran, and 3rd Coast Imaging has been officially certified by the United States Department of Veterans Affairs as a Veteran Owned Small Business. Fun Fact: George rode seven roller coasters at Six Flags to commemorate his 60th birthday. What a blast. Malou has spent most of her career in the printing industry, including five years and counting at 3rd Coast Imaging. 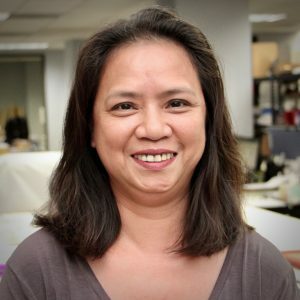 Her skills include legal document scanning and electronic archiving, customer service, binding and finishing work, high-volume print projects, and quality control. She’s the last person to see each project before it goes off to the client! Fun Fact: Malou recently traveled to Thailand and Singapore and ate many interesting dishes along the way. Sounds like a reality TV show. Jay has been with 3rd Coast Imaging for three years and has over 10 years in the design business. He designs everything from logos to postcards and large-format posters for clients. Jay’s skills also include a variety of variable data and advanced printing techniques. He holds an AA in graphic design. Fun Fact: Jay is the lead singer for the only metal band to reach the final of Chicago’s Battle of the Bands. Autographed pictures on request. 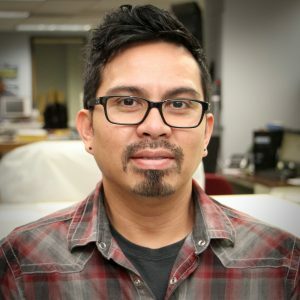 Aurelio Mares has been with 3rd Coast Imaging for six years and has worked for nearly 15 years in the print and design industry. 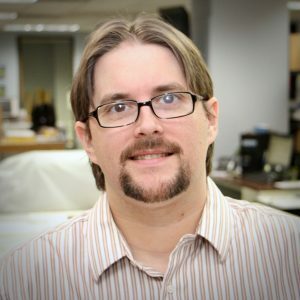 His specialties include wide-format printing, graphic design, and photo optimization. Aurelio holds a BA in fine arts, majoring in advertising and design. Fun Fact: Aurelio once high-fived Paul McCartney at a concert. Never wash that hand. John is the newest member of the 3rd Coast Imaging team, having joined the company in 2018. He brings with him 20 years’ experience in retail and customer service, much of that in management positions. A lifelong Chicagoan, John has built strong business relationships over the years. Fun Fact: John is a lifetime fan of the Blackhawks and has met almost every member of the Stanley Cup-winning teams. No, I can’t get tickets for you. With over 25 years in the printing industry, Alex brings a diverse skill set to the team. He handles daily operations and client relationships: every order that comes into 3rd Coast is touched by Alex at some point. 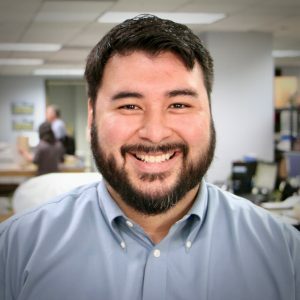 While he has a BA in Computer Science, the printing business is the work he loves to do. Alex has been with 3rd Coast Imaging for six years. Fun Fact: Alex plays basketball, bowls, and sings karaoke in his free time. We make him work long hours, it keeps the community safe.